An investor landlord incurs many expenses, including monthly mortgage payments, flood, hurricane, fire and liability insurances, maintenance/repair costs, appliance replacements, and utilities. Voters will have the opportunity to vote on that proposed constitutional amendment this November. Unfortunately, this open-ended language provides unfettered taxing powers to the state on ambiguous “investment” real property. Up to now, only counties are authorized powers to collect real property taxes. Even then, it’s a fallacy that every investment property owner is wealthy and thus, low-hanging fruit for taxation. Many “investors” are self-employed residents. They lead frugal lives and sacrifice in order to purchase an investment property. They have mortgages with monthly payments. They doggedly work on their fixer-uppers. While others take vacations to Las Vegas, they are home fixing or improving. Their investment property is their retirement benefit. 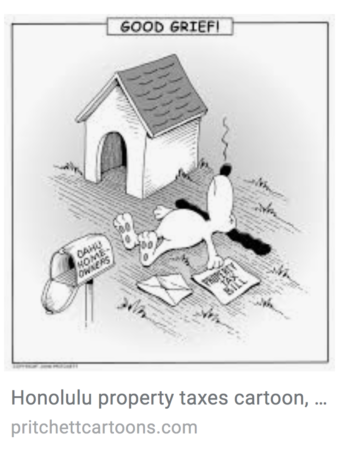 And let’s not forget, the benchmark used by Honolulu County for double tax on investment or Residential “A” is $1 million (an amount easily reached). Since this constitutional amendment is a Hawaii State Teachers Association initiative, let’s use a public school teacher as example: Teachers have a guaranteed monthly salary, including a long summer, spring, Christmas and holiday breaks. Teachers generally get annually 18 days of paid sick leave that can be accumulated throughout their tenure. Each school year has 189 curriculum days. Teachers generally receive 80/20 EUTF medical benefits. At retirement, teachers could receive a $1,000 monthly pension, more or less, depending on the rate of pay and length of service. On the other hand, an independent or retired property “investor” has no guaranteed fixed income, and no benefits like medical, pension or holidays. In fact, the demands on an investor landlord are 24/7/365. The alternative is to hire a property manager who charges 12 percent of gross rental income. An investor landlord incurs many expenses, including monthly mortgage payments, flood, hurricane, fire and liability insurances, maintenance/repair costs, appliance replacements, and utilities. Expenses can often include absorbing unpaid rents, legal fees to evict delinquent tenants, or costs for property damages. 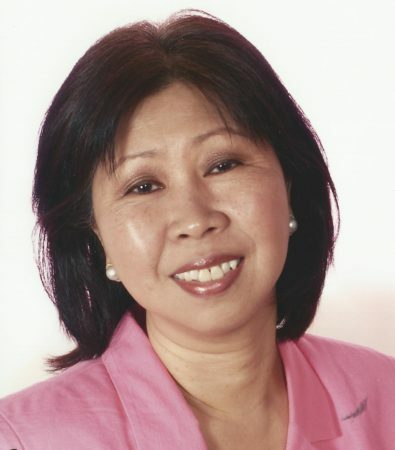 >> Investor A is retired and depends on his second home income to help him and his wife in their retirement years. Both their million-dollar homes (on paper) need repairs and maintenance that they cannot afford right now. If they had to be in a care home, they’re hoping that the rental income could help. Currently, they’re barely making ends meet and worry about being priced out of house and home with increasing fees and taxes. >> Investor B is now working on the mainland. He cannot find a comparable job in his field here. They want to come home eventually but they can’t afford to, yet. They’re renting their mortgaged home to a local family long-term. Their shack is now over the $1 million valuation, triggering increased “Residential A” taxes. They reluctantly will have to raise rents soon. >> Investor C is a self-employed young man with construction skills. He maintains a million-dollar (on paper) second home that he fixes up through sweat equity. He depends on this rental income to pay his two mortgages, support himself and his growing family. They have no other income or benefits like medical or pensions for themselves and their children. Most Hawaii’s residents, including such investors, are trying to make ends meet. Can we see strict fiscal discipline and tightening of waste and spending in our government before more taxes are imposed? 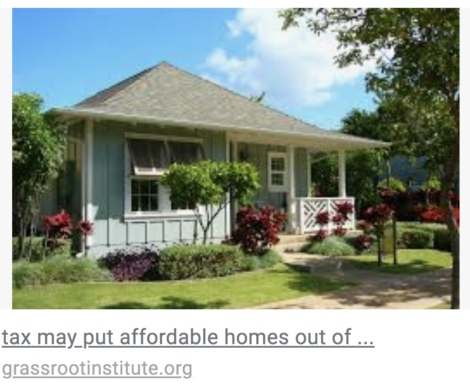 Otherwise, more locals will be priced out of Hawaii. 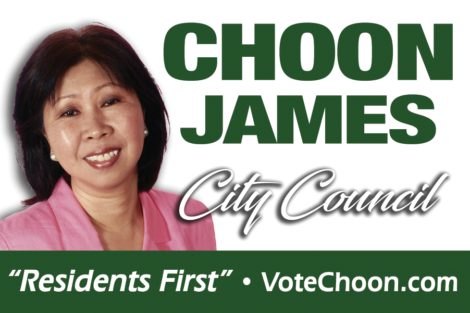 Choon James has been a real estate broker for 30 years and is a long-time community advocate.